Prefab Tool brings nested prefab support to Unreal Engine. 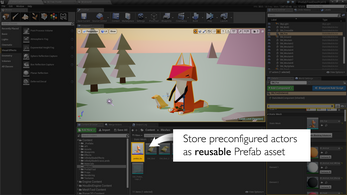 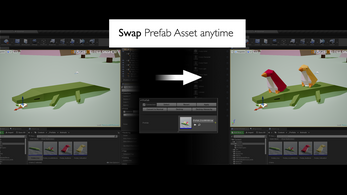 It allows you to convert preconfigured actors in the level to prefab asset in the content browser, and then add the prefab to the same or other levels as many time as you like. 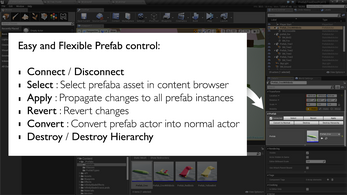 You can disconnect a prefab instance to prevent it being automatically updated by prefab changes. 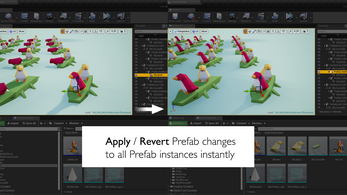 Or you can choose to revert any changes to the prefab instance. 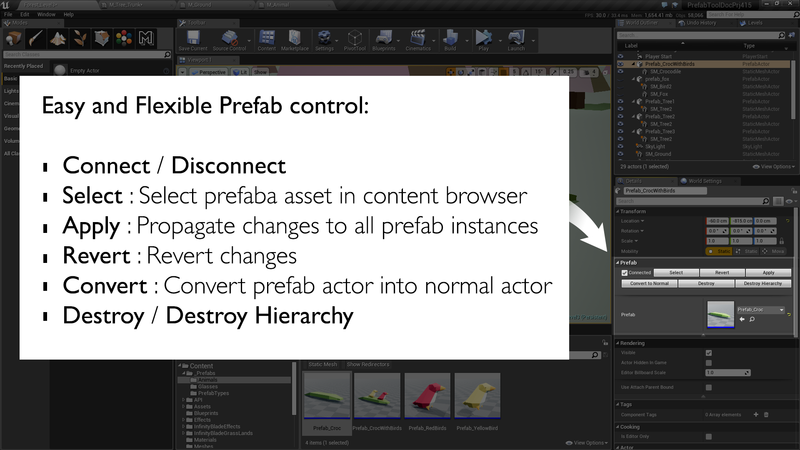 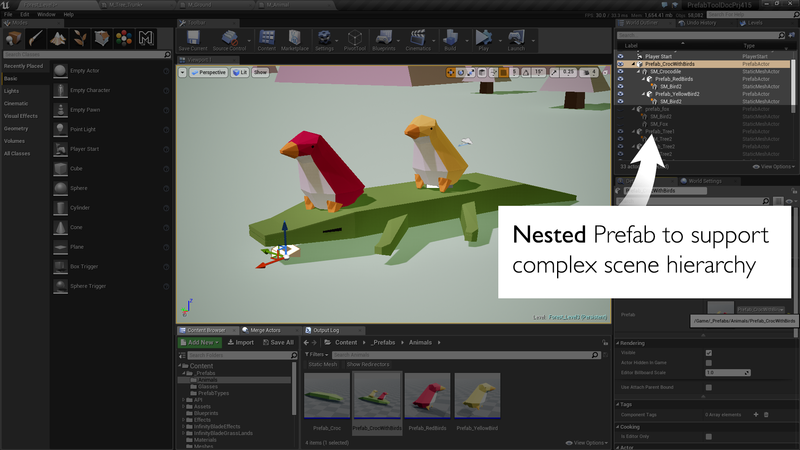 Prefab can be nested to support complex scene hierarchy. 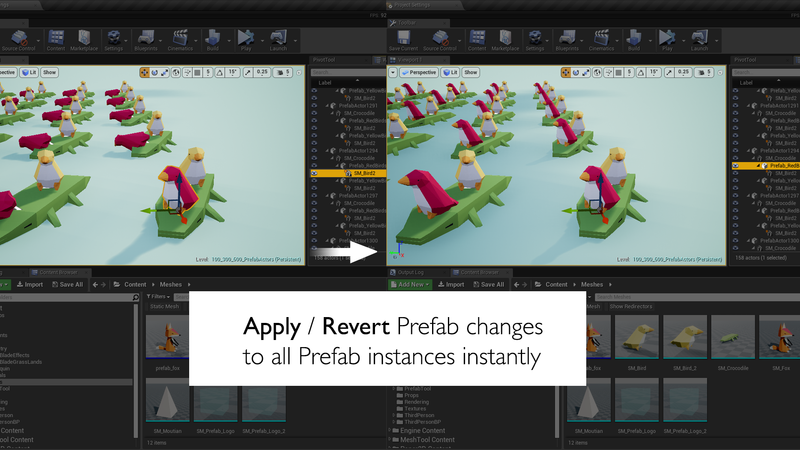 Changes to nested prefab can be reverted or propagated like normal prefabs. 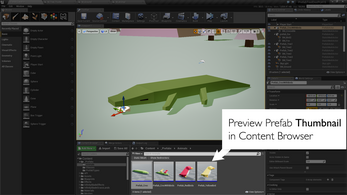 Indie Team License allows maximum 10 developers providing the Licensee with annual gross revenues (based on fiscal year) below US$100,000. 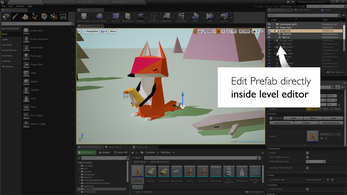 Studio License allows any number of developers employed by the Licensee to use the software. 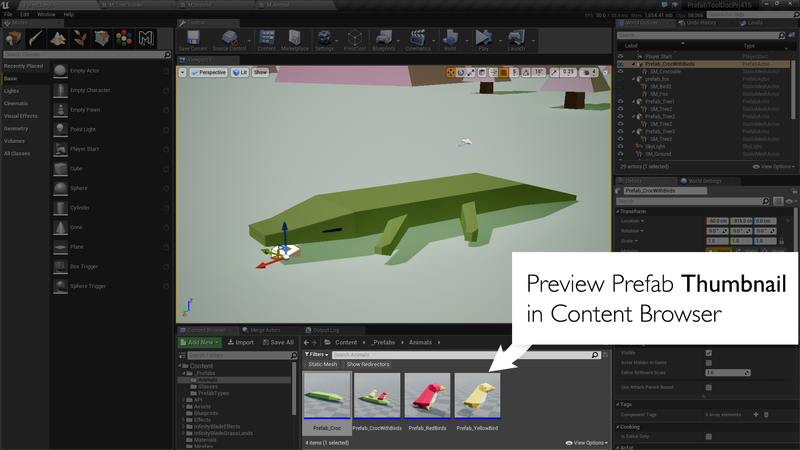 Thanks Nathan Cheever and Mateusz Piaskiewicz for feature suggestions and feedback during 1.2.0 development!